The purpose of this workshop is to apply basic principles of radiologic-pathologic correlation to the differential diagnosis of diseases of the stomach and duodenum. Tumors and inflammatory or reactive processes will be emphasized and used as illustrative examples in the syllabus. The stomach and duodenum are violent places, with hostile pH levels and endocrine and exocrine glands with feedback loops that are in constant battle. The end result is that both are prone to diseases of excess acid or alkali, or diseases of diminished resistance to these caustics. In addition, hormonal influences affect the structure and function of stomach and duodenum; gastrin is the most famous hormone associated with the stomach. In addition to stimulating gastric parietal cell acid production, gastrin also stimulates all neuroendocrine glands of the alimentary tract to some degree. 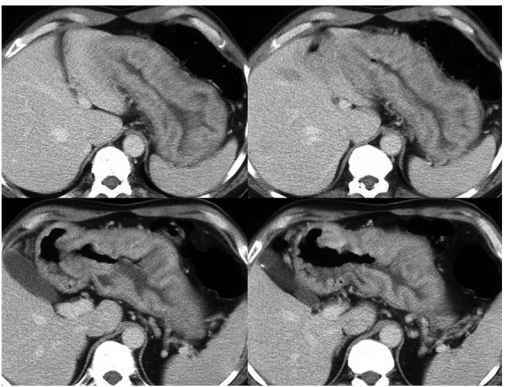 Carcinoid glandular hyperplasia of the stomach occurs with high persistent gastrin levels, as seen in Zollinger Ellison Syndrome, atrophic gastritis, and with acid suppression medications. Recent controversy has arisen about the possible relationship of acid suppression therapy with hyperplastic gastric polyps and atrophic gastritis. 'Radiologic-pathologic correlation' employs knowledge of pathological processes (along with physiology and anatomy) for the analysis of radiologic abnormalities to enhance differential diagnosis [1, 2]. The dictionary defines pathology as: 'The study of the essential nature of diseases and, especially, the structural and functional changes produced by them.' In this sense, the radiologist is truly a pathologist who sees the changes in vivo, when there is still an opportunity to intervene. It is common teaching practice to classify disease by pathologic diagnoses. In practice, the patient seldom presents with a known diagnosis, but with non-specific complaints. Diagnosis is suggested by analyzing morphologic changes seen radiologically. Incorporating knowledge of pathology with clinical information should aid in the formation of a rational differential diagnosis, while avoiding rote memorization of exhaustive lists and 'gamuts'. Pathologic correlation is especially useful in the gastrointestinal (GI) tract where diagnosis depends heavily on determining the layer of the bowel wall involved, and on patterns of filling defects, strictures, fold abnormalities and ulcers. A brief review of normal bowel structure may aid in the appreciation of pathologic alterations. The bowel varies in structure and function from region to region, but many anatomic features are common throughout. 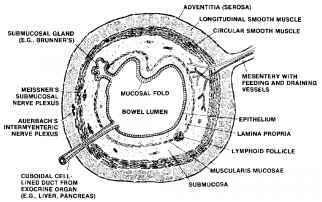 The gut is a stratified tube that is organized into four main layers: mucosa, submucosa, muscularis and an outer adventitial covering (Fig. 1, 2). The mucosa, in turn, has three layers. The luminal lining of squamous or columnar epithelial cells provides a protective surface involved in absorption and mucus production. The lamina propria is a supportive layer of mes-enchyme containing capillaries and nerves. 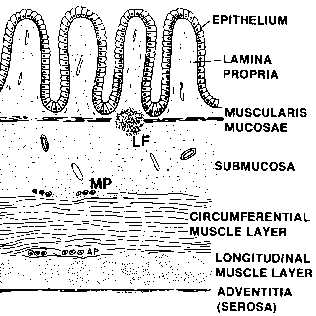 A thin layer of smooth muscle, the muscularis mucosae, separates the mucosa from the submucosa. Lymphoid follicles tend to lie near, or bridge across, the muscularis mucosae. cularis propria, generally has an inner circular and outer longitudinal layer. Auerbach's autonomic nerve plexus, which controls peristalsis, is located between the two layers. 'Adventia' is a general term for whatever surrounds the gut. Much of the GI tract is surrounded by delicate fi-brofatty mesenchyme supporting a continuous thin fibrous layer, the serosa. The esophagus and retroperitoneal portions of the duodenum and colon lack a defined serosa. The continuity of the adventia with surrounding tissue can facilitate spread of inflammatory and neoplastic disease. The radiographic morphology of lesions almost always gives important clues about the pathologic diagnosis (Fig. 3, 4). Overgrowths of the luminal surface epithelium can cause hyperplasias, adenomas, or carcinomas, depending on the degree of histologic atypia. Epithelial polyps and tumors tend to protrude into the lumen, have irregular surface texture, form acute angles with the surrounding surface, and usually do not displace the centerline of the gut unless they become quite large. Benign lesions tend to grow slowly, are often small, rounded and, if growing into the lumen, have time to be drawn out onto stalks by peristaltic action. Aggressive lesions spread out and involve adjacent structures. They are likely to be broad-based and tethered to deeper mural structures. They become large more rapidly and are more likely to outgrow their blood supply and become necrotic. Non-uniform, multi-centric growth tends to cause irregular contours and lobulation. Any of the subepithelial mesenchymal tissues may lead to benign or malignant overgrowths, the malignant forms being termed sarcomas. Submucosal lesions also tend to grow toward the lumen, being restrained by the firm, rubbery muscularis propria. The displaced mucosal surface tends to be smooth with obtuse angles at the edges. Masses arising in the muscle wall (e.g., gastrointestinal stromal tumors (GISTs), leiomyomas and leiomyosarcomas) may grow either towards the lumen (endoenteric) or away from it (exoenteric), or in a combination of patterns. Extrinsic masses sometimes bulge into the lumen, but they typically have very obtuse angles at the margins and tend to displace the lumen centerline earlier than intrinsic lesions. Hamartomas are mixed arrangements of otherwise normal tissues. 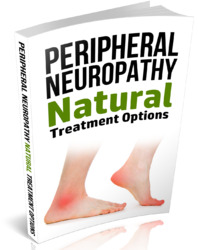 They are generally benign and usually contain both epithelial and mesenchymal elements. Most strictures result from scarring or from cellular infiltration. With scarring, the narrowing has smooth margins, whereas with infiltration, the contour depends on the nature of the process and its location within the wall. Healing of many types of injury results in scarring and stricture formation. Strictures from widespread inflammation, as in caustic ingestion or radiation, are likely to be elongated. 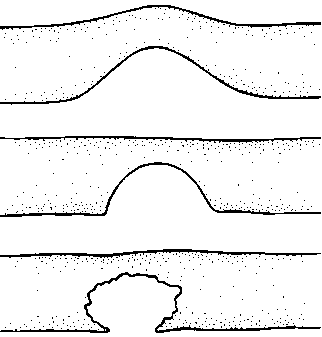 When the injury is old and the epithelium has healed, the luminal surface will be smooth with tapering edges (Fig. 4). Irregularity of the luminal surface of a stricture indicates involvement of the epithelium. It may be caused either by ulceration or a primary epithelial process such as carcinoma, the infiltration of which produces the stricture. Frequently the stricture is caused more by fibrous reaction to the tumor cells than by the mass of neoplastic cells per se. 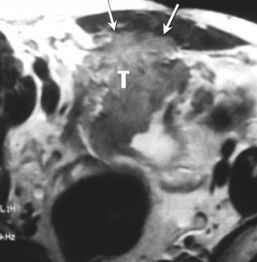 Mucin-producing adenocarcinoma is especially likely to exhibit this tendency. Benign strictures are often long and smoothly tapered, whereas malignant strictures tend to produce focal, relatively short, irregular strictures with abrupt edges. 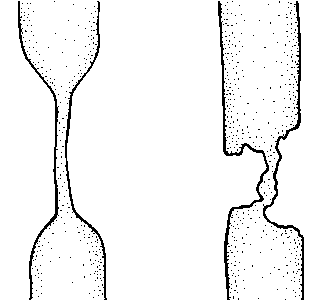 Strictures may be due to compression by extrinsic encircling masses. 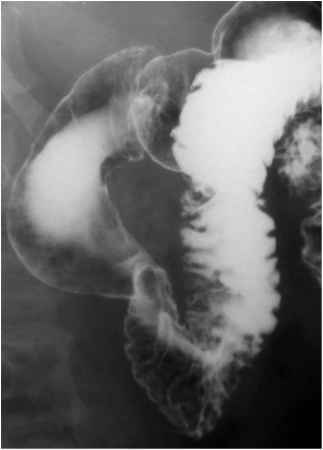 While uncommon in the stomach, annular pancreas provides a classic example in the duodenum (Fig. 5) . The mucosa and submucosa are unaffected except for being smoothly stretched over the lesion, providing a smooth contour. thickening are often non-specific and difficult to distinguish from normal variation when relatively mild. 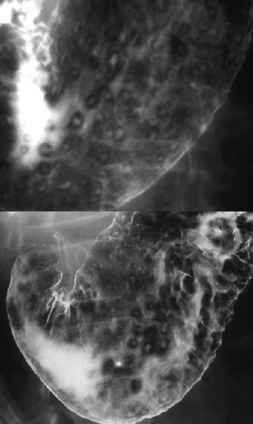 Erosions through the epithelium that do not breach the muscularis mucosae, separating the mucosa from the submucosa, may be detected with double contrast barium technique (Fig. 6). Aphthous lesions suggest granulomatous disease, especially Crohn's disease, but are not specific. Hyperplasia of normal structures, or infiltration or deposition of cells or foreign material may cause thickening. Examples of diffuse epithelial overgrowth include Menetrier disease in which gastric fundal folds are markedly thickened by proliferation of the superficial mucus-producing cells (Fig. 7). Zollinger-Ellison Syndrome is another classic example in which an ectopic gastrin source stimulates gastric acid production and marked hyperplasia of parietal cells in the deep mucosal glands of the gastric fundus. Excess fluid is found with both entities, but inflammation and ulcers due to excess acid are found only in Zollinger-Ellison Syndrome. Both of these conditions are classically distinguished from other inflammatory disease in which fold thickening is usually more distal. yond the expected margin of the lumen of the organ. They may be caused by noxious agents in the bowel lumen or by insults such as mucosal ischemia or inflammation in the mucosa itself. Infection with Helicobacter pylori is now recognized as the etiology for most upper GI tract ulceration. Once the surface is breached, the erosion can extend more deeply. In a benign ulcer, the surrounding epithelium remains relatively resistant and intact, although inflamed. Destruction of the less resistant submu-cosa undermines mucosa, which tends to overhang the crater edge. The firm, rubbery muscularis mucosae is relatively resistant and forms a temporary barrier. The resulting flat-bottomed defect has narrow communication with the lumen and a characteristic 'collar button' shape. Surrounding mucosal folds extend all the way in to the edge of the ulcer. In contrast, adenocarcinoma typically produces a nodular, irregular epithelium. An ulcer in this surface has irregular edges that tend to be eroded along with underlying tissue without undermining. Erosion into an extensive tumor mass produces an irregular, saucer-shaped hole rather than a flat bottom. Ulceration into a submucosal tumor such as a GIST or lymphoma nodule produces a variably shaped crater, but because the epithelium is not primarily involved, its edge is often sharply defined. mucosal extension and for spread through the wall. Benign hyperplastic and adenomatous tumors also arise in the epithelium and this is reflected in their roentgen appearance, often allowing their differentiation. Other tumors arise in the submucosal mesenchyme. Many of these are slow growing and benign. They present radi-ographically as rounded intramural lesions with smooth overlying mucosa. As such lesions become large, however, the epithelium may ulcerate. The normal histologic components vary with the region of the gut and so do their tendencies for pathologic growth. One must know the local 'track record' for successful prediction. For example, the stratified squamous esophageal epithelium commonly transforms to squamous cell carcinoma after long exposure to smoke and alcohol. Flat, glandular, columnar epithelium frequently becomes metaplastic, leading to adenocarcinoma at the esopha-gogastric junction, but only rarely does so in the small bowel. Solid mural tumors of the esophagus are likely to be benign spindle-cell, stromal tumors, regardless of their size. Similar lesions in the stomach are likely to be malignant, especially if larger than a few centimeters. Polyps in the duodenum are likely to be hyperplasias of Brunner's glands or hamartomas including pancreatic tissue. Those entities would be rare elsewhere and similar gross morphology would prompt different considerations.